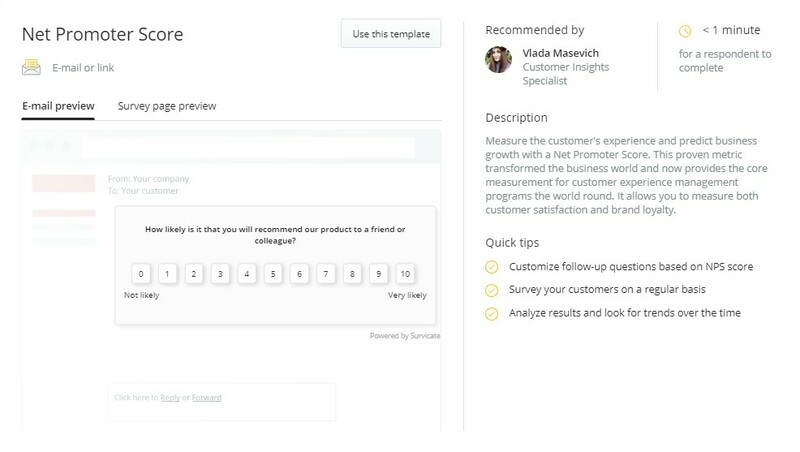 Net Promoter Score is a metric used to measure loyalty and group your customers into promoters, passives, and detractors, by asking "How likely is it that you would recommend our product to a friend or colleague?" Using Survicate's integration with Intercom, you can configure an automatic distribution of your NPS surveys at defined time intervals. Create one on your own or pick one of the available templates. Check out our NPS template. Feel free to modify the questions, so they fit your needs perfectly. When creating a survey on your own, use either email/link survey with Intercom as a provider or messenger surveys. Campaigns allow you to send a series of messages to a defined user group, at specific time intervals or after events. Let's start by defining the group of users who will receive the survey. I’ve chosen users that were 'last seen' less than 90 days ago. Pick your paid users, newly registered ones, or any other group you want to focus on. Users automatically exit a campaign when no messages were sent to them for x days. Since we want to measure quarterly NPS remember to set "No messages sent for.." for the maximum of 90 days. Now we have to create a message that will be sent each quarter. ‼ The number of days between each message has to be less than 90. Each subsequent one has to be sent to users who entered campaign 89 days ago, 178 days ago, and so on. You can push the NPS score as tags to Intercom to the users and companies. That will allow you, in the following quarters, to send customized emails to Promoters, Passives, and Detractors. 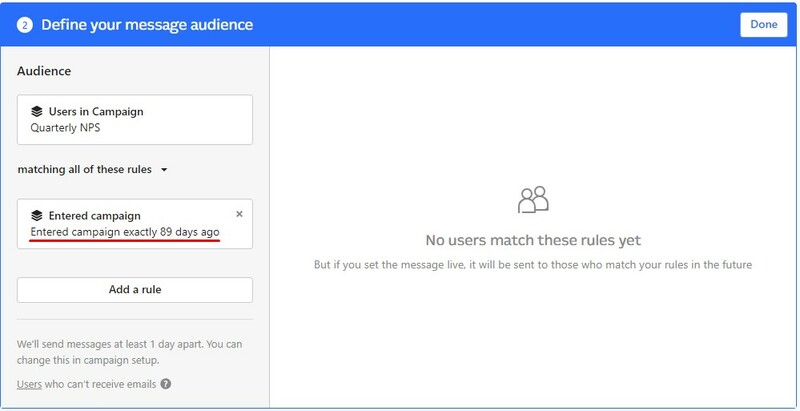 Create a separate message for each group and add their score tag as a rule when defining your audience. You can send follow-up emails to users who didn't answer the survey. Create a message for users who: received the survey, but don't have any tags, meaning they didn't respond. 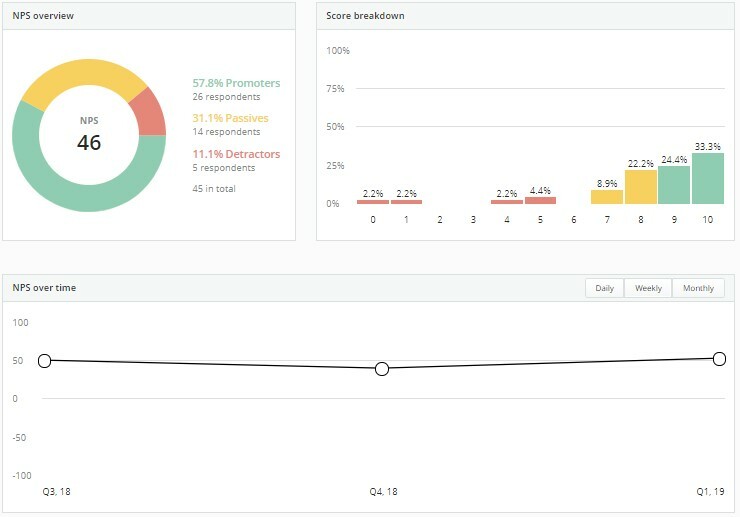 Check your NPS over-time score, analyze every single response - do all that in Survicate results dashboard.